Following an approach from the Department of Parks and Wildlife (Parks and Wildlife) in mid-November 2016 regarding the Swan Canning Riverpark River Journeys Project and the possibility of Council jointly funding various works at John Tonkin Park, the Town of East Fremantle has agreed to commit $90,000 in the 2017/18 financial year for the completion of the Interpretation Node project (John Tonkin Park). A key component of the development of the interpretation node is for the relocation of the current carpark in John Tonkin Park. Therefore, as part of this project, the Town will be relocating the car park at John Tonkin Park with the funding provided by Parks and Wildlife. The total project cost for stage one is $180,000 and Council’s amount matches funding provided from Parks and Wildlife’s ($90,000). 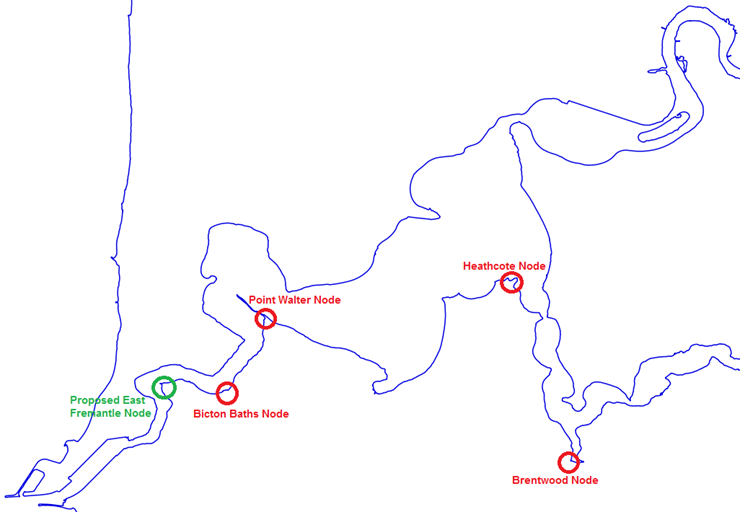 During 2016 Parks and Wildlife installed four nodes along the river at Brentwood, Heathcote, Point Walter and Bicton Baths. Parks and Wildlife advised that the proposed interpretation node in East Fremantle would function as a main point of sharing information about the Riverpark and East Fremantle’s cultural and natural heritage. In the compilation of the marli riverpark Interpretation Plan (June 2014), the Department of Parks and Wildlife established a Noongar Advisory Panel to provide heritage information and advice for inclusion in the plan. The Panel guided how messages about Whadjuk Noongar cultural heritage values of the rivers should be told and to identify the most important themes, stories, and node locations to ensure heritage values were upheld and protected. The proposed development has the potential to further enhance the appeal of John Tonkin Park to external visitors. The creation of a focal point for visitors to obtain information about the natural and cultural heritage of this area will enhance the enjoyment of members of the public accessing the river foreshore. As Parks and Wildlife will project manage the works (interpretation node), provide technical support and undertake the concept planning, architectural design and building plans, it is considered all environmental implications will be sensitively addressed. At is meeting in December 2016, the Town considered that the project will greatly enhance the experience for park users and members of the public using the foreshore paths. Work on the carpark is due to commence in the next few weeks. Work on the interpretation nodes will aim to commence in the latter half of 2017. Create a focal point for visitors to access information about the natural and cultural heritage of this area of the river. Generate mixed media multiuse space providing seating, interpretation and foreshore access. Proposed where existing car park is located. Parks and Wildlife have $90k of funding. Funding must be spent by 30 June 2017. Link key areas along the Riverpark with a unique brand and network to create key focal points, generating mixed media multiuse space providing seating, interpretation and foreshore access. Provide visitors with the opportunity to gain invaluable information about Whadjuk Noongar cultural values and heritage. So far have developed four interpretation nodes along the Riverpark. At Brentwood, Heathcote, Point Walter and Bicton Baths. Completed Heathcote, Point Walter and Bicton Baths in February 2016, with a Minister’s opening in March 2016. Completed Brentwood in June2016.